When was your last encounter with impatience? Was it this morning as everyone tried to leave the house on time? Was it at work when a colleague asked you to explain the procedure – again? If only your spouse would help around the house more! If only the kids would fold the laundry the way you taught them! While impatience is a familiar companion to most of us, it’s not something that makes us feel good about ourselves. Today, I have good news: there's a type of impatience that would qualify as holy. We might even call it “sanctified impatience.” What do I mean? Holy impatience is displayed when we recognize that someone we care about is experiencing less of a life than they could experience if they were to grow in Christ. For example, perhaps your spouse is struggling with an addiction and it’s no longer a secret. You’ve talked about it, and you both agree there is an issue. Your spouse has promised to get help – if it gets any worse. Holy impatience cries out inside you, No way! Let’s get help now. There’s a better life waiting for us. Now is better than later. It’s a real thing, I promise you. I can even show you where Jesus experienced sanctified impatience. In the gospel of Luke, a father brings his demon-possessed boy to Jesus to be healed. The disciples had tried and were unable. Jesus’ frustration is unmasked, “How long shall I stay with you and put up with you?” (9:41). So this week we’ll discover how the things that made Jesus impatient then are the same things that make Him impatient now. Because He is the same yesterday, today, and forever, and because He indwells us at the moment of belief, we’ll sometimes feel impatient too. Holy Spirit, use this holy impatience to invite others into a rich and abundant Life in You. Make me brave enough to speak out of this impatience that is so deeply rooted in compassion. Amen. Experience more of the Good Life God has for you! Many people think the “good life” comes with having the right education, a successful career, a happy marriage, or just a lot of stuff. 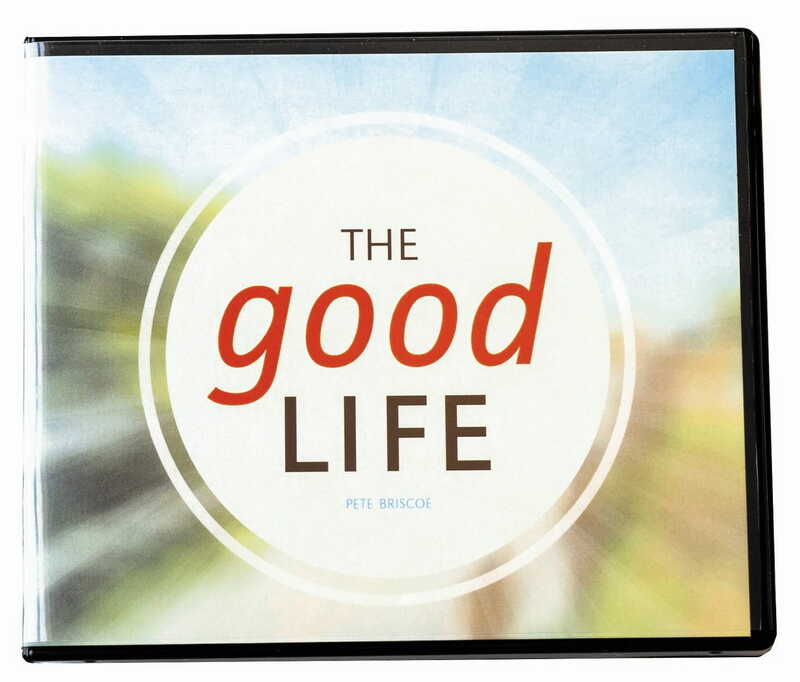 But in his 7-message series, The Good Life, Pete Briscoe shows you how you can live a life that’s more abundant and satisfying than you ever dreamed!